Libby's Little Addiction: January 2018 My Monthly Hero - Release + Giveaway! January 2018 My Monthly Hero - Release + Giveaway! Hello hello!! It's time for the first My Monthly Hero release for the year at Hero Arts! 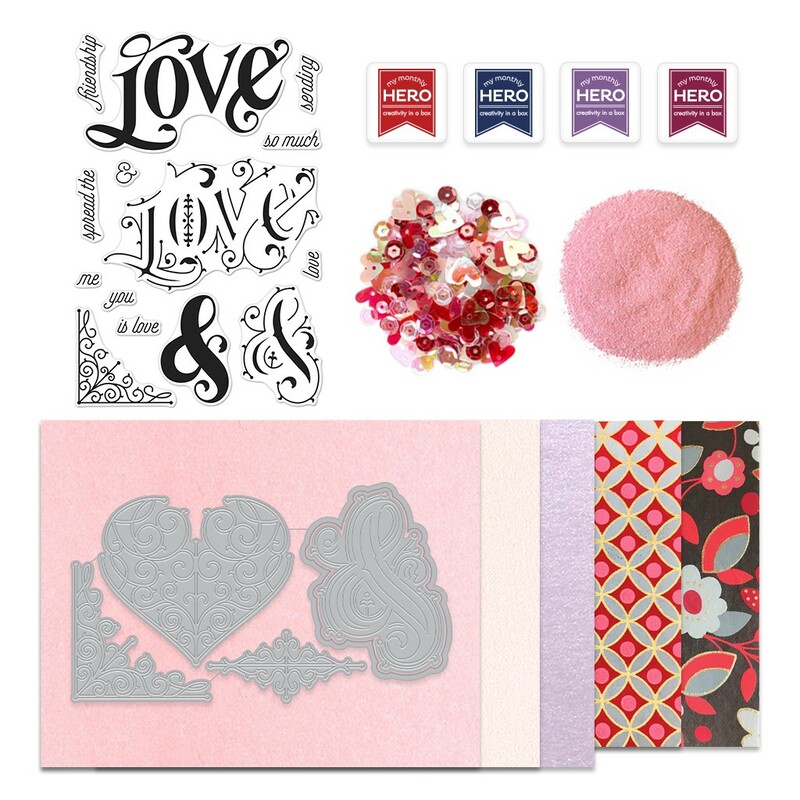 This month's kit is so much fun - a big, fabulous word LOVE, gorgeous dies, and beautiful papers, sequins, embossing powder, inks... so much to LOVE! Today I'm sharing a couple projects I made for the Hero Arts website. When I saw the Passion Flower and Navy inks included in the kit, of course I had to use them. Because purple. The big "LOVE" message is so cool! I love the font. And you can do so many fun things with it - you can color layer it in different colors, or use the same color for both image to make it one bold, solid color. Or you can use embossing on the top layer, which looks awesome too! I went with the purple and navy look - such a nice combo! I love the ampersand in the kit, too!! Now it's time to hop! 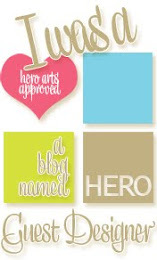 Be sure to visit all of these blogs and leave comments - Hero Arts will be giving away one kit to a lucky commenter, selected from the comments left across all of the blogs in the hop. You have until Sunday, January 14th to get those comments in, and the winner will be announced at a later date on the Hero Arts blog. Love your color selection. I am partial to the ampersand card. So simple looking but makes a statement. So pretty. Love the lavender color. Such a pretty set! I love the colors you used! Lovely cards; lovely colors! Thanks for the inspiration! It's always fun to see all the different things that everyone comes up with the same materials!! Thanks for sharing! beautiful. 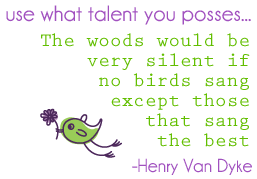 Thanks for inspiring us! Great colors for your card! That Love stamp is just gorgeous. Your two cards are really beautiful and elegant ! I love the colors you've selected. Like the touch of silver. Such pretty cards and stamps. This is a great kit. Love your colors, very pretty. Your cards are beautiful. Love the colors and this kit! 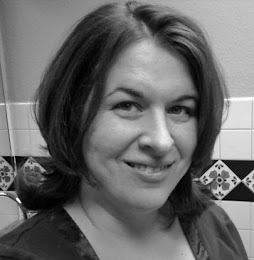 Your creations are absolutely wonderful ! I love your color combo so much ! 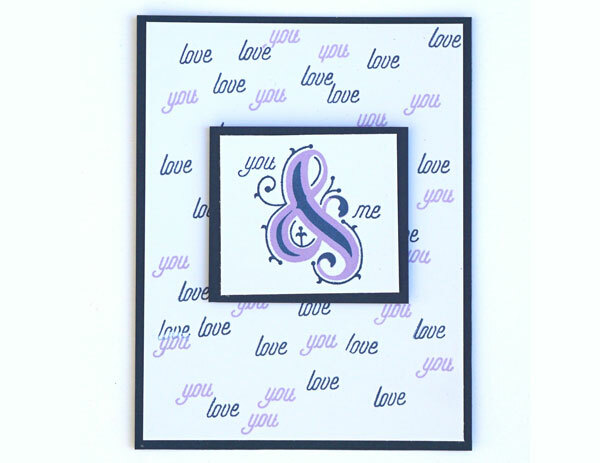 Love, love the colour choice, the ampersand card is a standout. These cards are so pretty. The font is just extraordinary. I love the colors you used. Thank you for sharing. Not your typical color choices, but that's one of the things I like about it. I like to think outside of the box and these inspire me. One of my favorite color combinations. Actually, if you start with blue and move in either direction on the wheel, you can't lose!!! Wonderful way to use this wonderful stamp design. It's just beautiful, isn't it? Love the purple and navy look . . . Your card and color combinations are inspiring. Cool colors.....I love when you think outside the box! Love the kit and your cards are so nice, too! The first one is especially pretty. 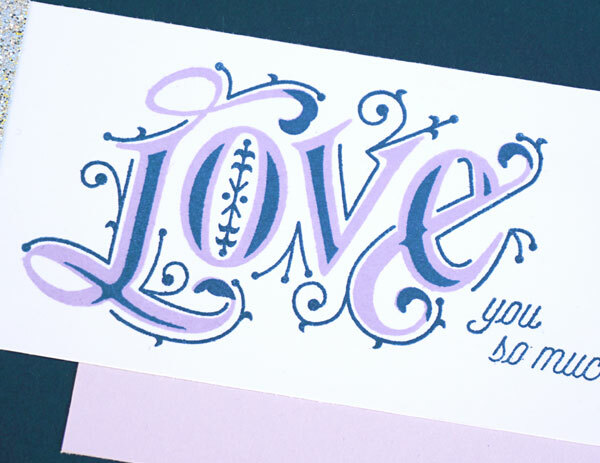 Love that fab script in purple and blue and that fab love you background, too! Great cards! Love those layering stamps! So classy! Love your colors! Fantastic HA kit this month! Love it! I like that everything is not pink and red, your cards are lovely! Very pretty in purple and navy. Nice card! I love the layering stamps and the colors! These are lovely, great color combinations! That layered word die is SO wonderful. . .
Beautiful cards, love this color combo! Wow! your color choices completely changed the vibe of this kit! So beautiful! This is such a gorgeous kit and you have helped me be even more excited about it. Your cards made me realize that Hero Arts is right on trend with the new violet colors of 2018. Thanks! Your cards and colors are lovely! Your color choices are great and I really like your second card, but both are perfect for a number of occasions outside of Valentine's Day. Love the use of the stamps to build the back ground, great card. Pretty cards. That stamp is very beautiful. Loved the non-traditional colors for your cards. Beautiful. Thanks for sharing. I adore the colors you used, very nice work! Really pretty cards... I love this new kit! 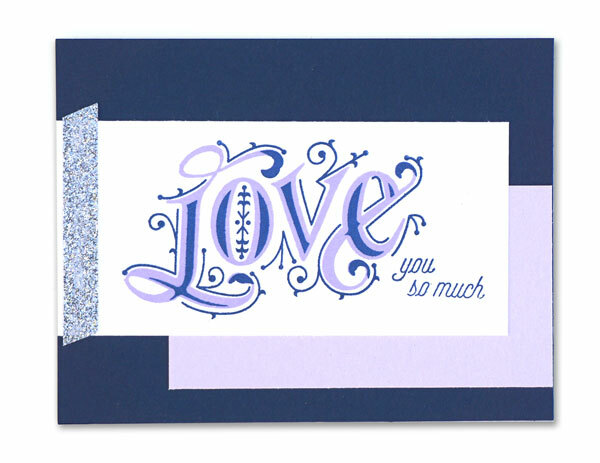 the "love" sentiment is so pretty in those colors! Love these ideas from the card kit! Also love the color combo. Love your colors on this! Very pretty and I love this kit release! The Love stamp is really pretty! I agree the font is great and I really like the navy and purple together. Really pretty card! love the choice of color and pattern..... LOVE the ampersand! Lovely cards. That layering Love stamp is so elegant. Great release. Awesome out of the box cards! Thank you. I love the combination of colors! It's inspired me to make a card using those colors. Thank you! The Love stamp is beautiful. The way you put everything together it really jumps off the page. What a fun release - love your cards! That sentiment is so pretty in purple! I totally understand about the purple. Thanks for sharing your lovely cards. The ampersand is stunning. My first time here! What a great idea to use the one-word sentiments randomly stamped to create a background! I've never seen that technique before! And I didn't know how the ampersand could be used for a Valentine until I saw your card! And the purple/navy stamp really emphasizes the details of the LOVE stamp! Thank you for sharing your designs! Love the colors and designs of your cards! So fun and pretty! Great job. Beautiful sentiment stamps... elegant fonts! Beautiful cards! Love that gorgeous big LOVE! The font is amazing. I love those words and the big LOVE. When I win I am going to make the words multi colored. I love colors and if you could see what I am wearing right now, you would get it. I always use a lot of colors on my cards. I'd like to win these words and when I win, I am going to make this very colorful. What a great Valentine's Day card! Thanks for showing us your pretty cards and for giving us the chance to win something. I love this set! Two amazing cards. Purple is the answer to everything as far as I am concerned and matched up with the navy, wow they pop. Like both of the cards, it would be the type of card I would like to make. Wonderful cards! I love the colours you used! Love your colors and love this new kit from HA! Thanks for sharing! Your cards are beautiful. The purples make a nice alternative to the typical pink and red for Valentines Day. Such lovely cards! Love this kit! Great release and love the colors you chose for your pretty creations! I like the colors you used! This kit looks amazing!